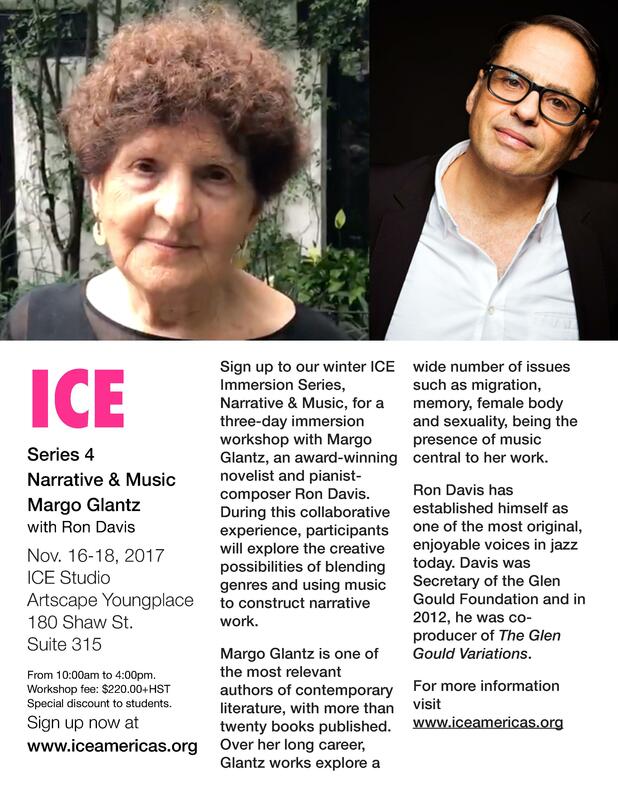 A three-day immersion workshop with Margo Glantz, an award-winning novelist and pianist /composer Ron Davis. During this collaborative experience, participants will explore the creative possibilities of blending genres and using music to construct narrative work. Margo Glantz is one of the most relevant authors of contemporary literature, with more than twenty books published. Over her long career, Glantz works explore a wide number of issues such as migration, memory, female body and sexuality, being the presence of music central to her work. Ron Davis has established himself as one of the most original, enjoyable voices in jazz today. Davis was Secretary of the Glenn Gould Foundation and in 2012, he was co-producer of The Glenn Gould Variations.